HKDR has since 2003, been encouraging Hong Kong's citizens to adopt rescue animals! While Hong Kong today may be regarded more for its affluence and materialism, it boasts a sense of diversity in a manner unparalleled to any metropolis in South East Asia. Here, the grandeur of the skyline and magnificence of the Peak are matched perfectly by the beauty and humility of the Sai Kung Country Park and Mong Kok’s night markets, so it’s fair to say that despite Hong Kong’s affinity for extravagance, its people have developed an appreciation and longing not just for modesty and simplicity, but perhaps most importantly ‘togetherness.’ The essence of what it is to be a Hong Konger, is far more than simply revelling in the grandeur of our city but more so in finding beauty in places one would least expect, a quality which transcends our interaction with society, to that of how we treat the animal life around us, a mission exemplified best by the immense efforts of Hong Kong Dog Rescue. Hong Kong Dog Rescue (HKDR) was founded in 2003, in light of the staggering number of approximately 7,000 dogs euthanised by the government’s Agriculture, Fisheries and Conservation Department every year, and has since then relied predominantly on private donations to function. HKDR deals mostly with abandoned animals, many of who were faced with negligent upbringing and terrible living conditions at the expense of irresponsible owners, yet unfortunately only a small proportion of the rescues are lucky enough to find a new home. HKDR have sworn a lifelong commitment to dogs under directly their care, and emphasise on education as much as they do rehabilitation. In July of 2013, the Education and Training Center was opened in close quarters to the Ap Lei Chau Homing Centre, designed specifically to ensure an improved relationship between dogs and humans, not just to increase empathy amongst owners, but most importantly to reduce the abandonment of pets across the city. 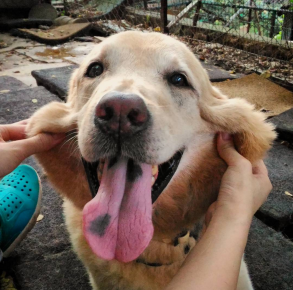 For those interested in adoption, HKDR has facilities in Tai Po, Lantau, and in Ap Lei Chau on Hong Kong Island, where dogs of all shapes, sizes and backgrounds, eagerly await a chance to be welcomed into a loving family. They also present opportunities for families to temporarily foster dogs, in doing so introduce the animals to a home environment, and allowing potentials owners to assess whether or not they are ready for the responsibility. 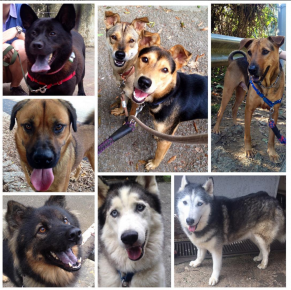 Their website; hongkongdogrescue.com , contains vital information for those whom wish to add a furry little friend to their family dynamic. HKDR’s mission reflects Hong Kong’s unique identity, in that despite the prevalence of “designer” or ‘Pure-Breeds’ across the city, comes an equally incredible opportunity to love and enjoy perhaps a more rugged, humble, and most certainly loving animal; one which may not boast of prize winning bloodlines, but would compliment your family and life in ways that you couldn't possibly imagine. Adopting a rescue dog embodies the very fabric of what makes Hong Kong great; it presents us with an opportunity to nurture modesty and love for something less picturesque, but equally beautiful, and gives a second chance to an animal that wants nothing more than to be part of a loving home. Adopt don't Shop.